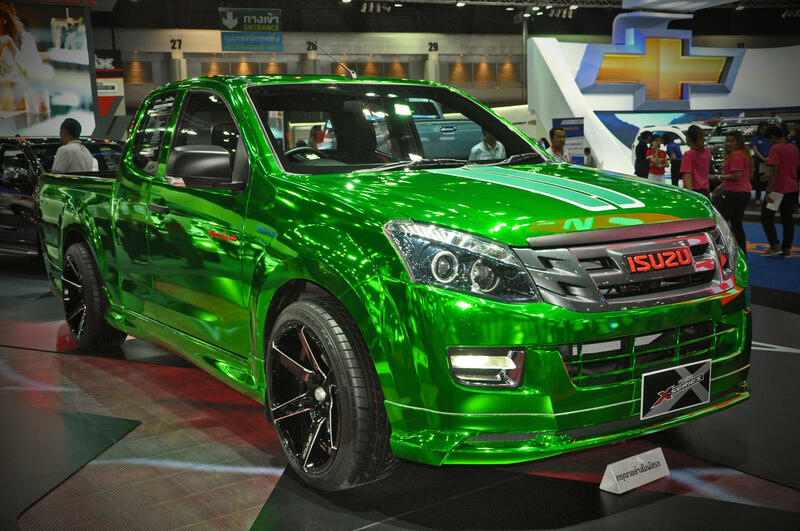 These Isuzu V-Cross Modifications Will Make You Go Crazy! Pickup trucks haven’t always been what you would call success stories in India. 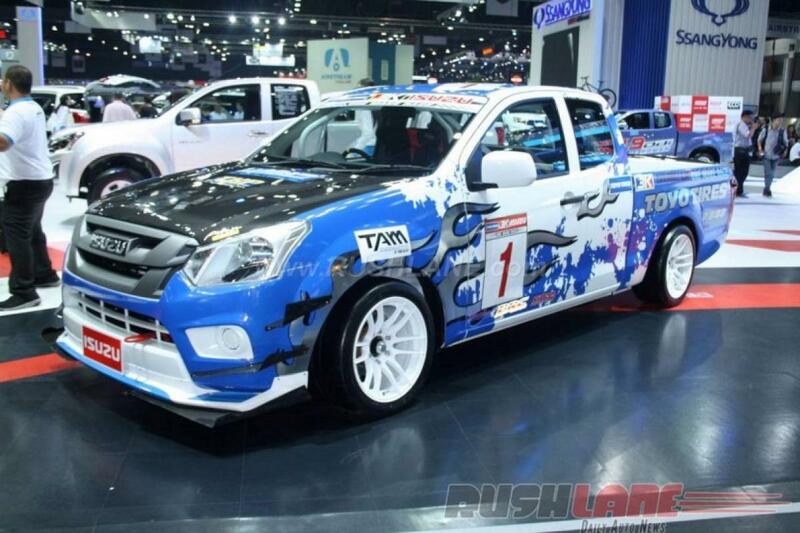 However, in the past few years, the Isuzu V-Cross has been responsible for a rising popularity of pickup trucks at least among new car buyers looking for a lifestyle vehicle that could actually go off-road. 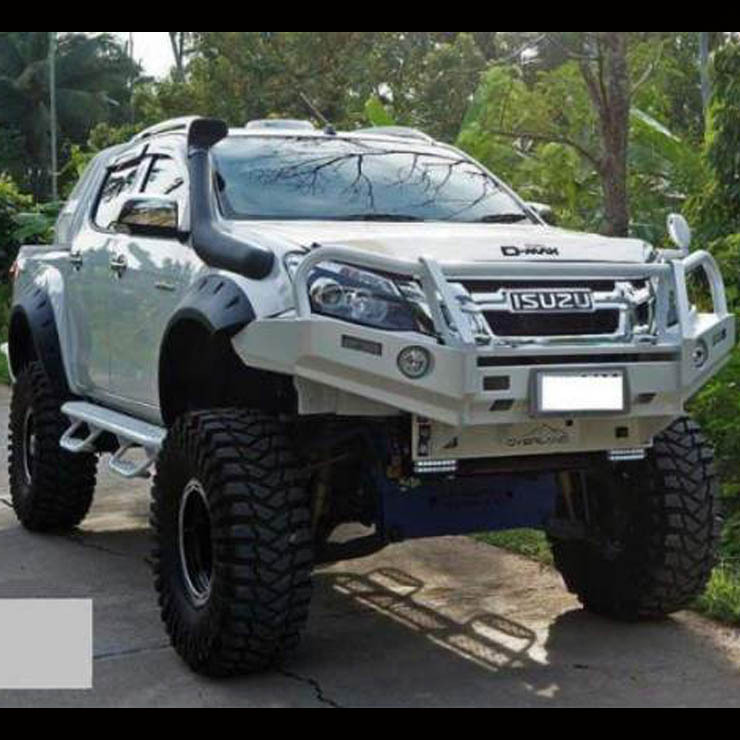 While its looks and offroading ability have made the Isuzu D Max V-Cross quite appealing, here are 10 ways that you could make one into a total BEAST! The V-Cross is powered a 2.5-litre turbocharged four-cylinder diesel engine that produces 134 Bhp and 320 Nm of torque The engine is paired to a 5-speed gearbox and four-wheel-drive. Now while many owners will state that the V-Cross has enough power to do what is required of it. However, for those owners craving more power popular customizers in India like Pete’s offer performance remaps for the engine. The remap by Pete’s is said to up the engine’s power and torque figures by 15-20%, which should make the tuned D-Max V-Cross a whole lot quicker than the regular pickup truck. 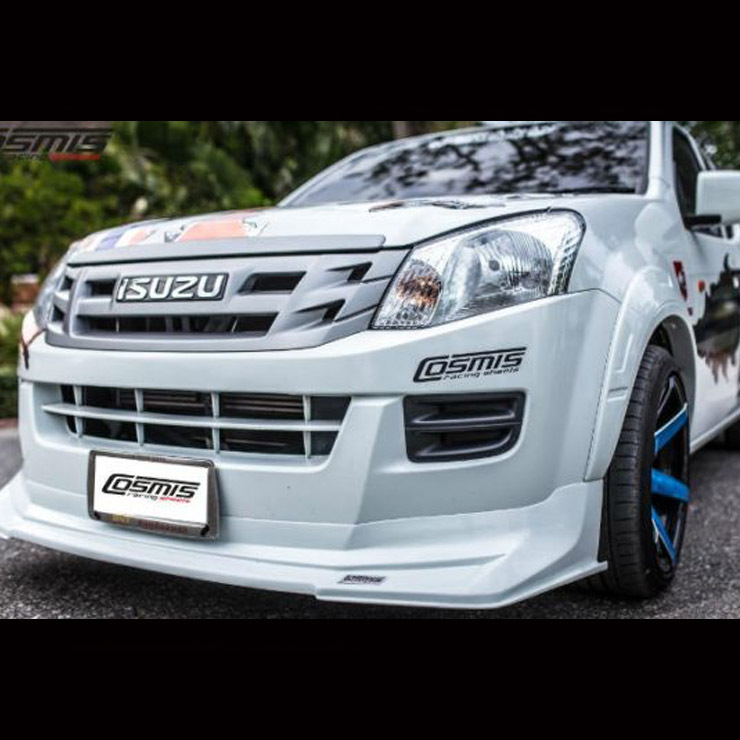 The Isuzu D-Max V-Cross is quite a capable off-roader and has a ground clearance of 225 mm. However, its rather long wheelbase of 3,095 mm means that the V-Cross is often unable to deal with some really steep slopes. 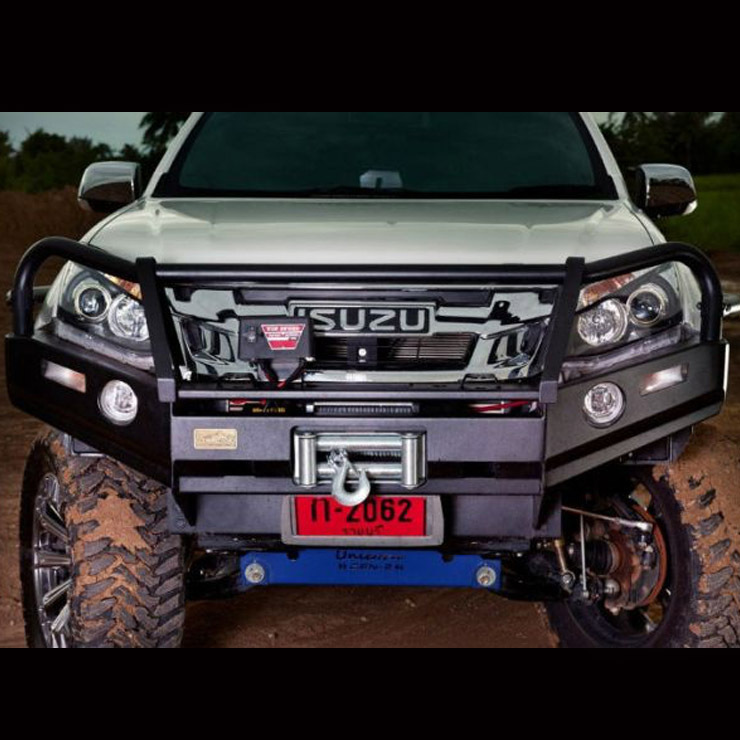 However, installing a lift kit should solve those off-roading issues for the Isuzu pickup truck. 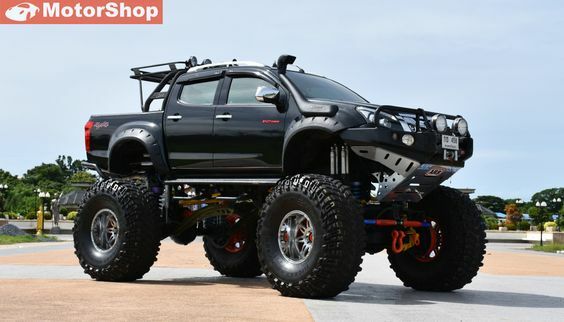 A typical lift raises the ground clearance by 2 to 6 inches (50.8 to 152.6 mm) which gives the truck a more badass stance to take on rough terrain with ease. However, installing a lift kit comes with a downside as it affects the high-speed stability of the vehicle. 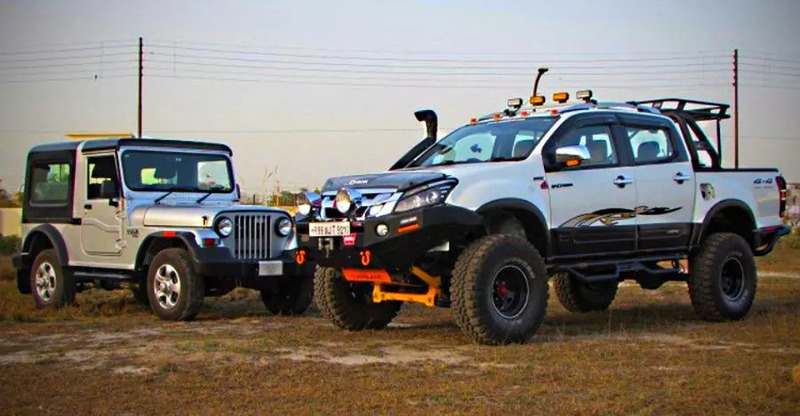 Another way to increase the road presence and off-roading ability of your V-Cross pickup truck is to bolt on some larger tyres. A larger set of tyres makes the V-Cross look more intimidating wherever it goes while offering better grip in off-roading conditions. However, larger tyres have their downsides as well as they cause a drop in performance and mileage along with increased wear and tear. Most owners would prefer better off-roading capabilities for their V-Cross pickups. However, there are others that prefer to increase their lifestyle vehicle’s high-speed stability by slamming it down to the ground. 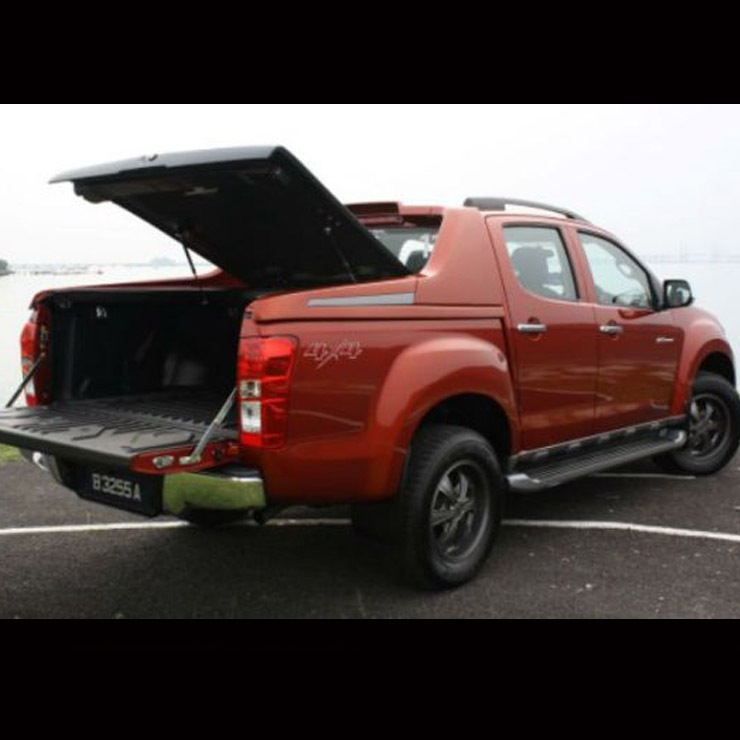 Lowering the Isuzu V-Cross down closer to the ground also makes the pickup truck look a lot more sportier than normal as well. 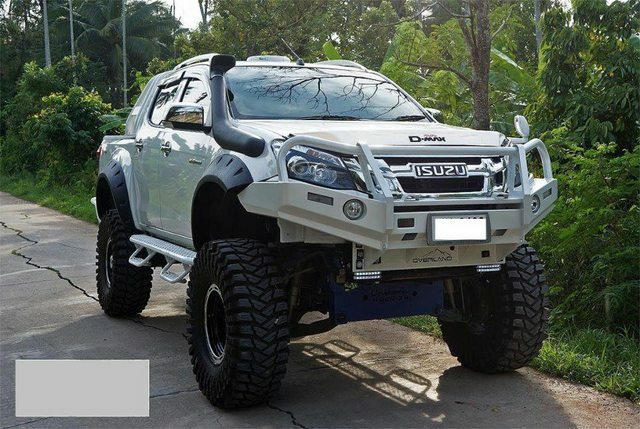 Another way to increase the off-roading ability of the V-Cross and also make it look even more meaner on the road is to give it an off-road bumper. This not only increases the approach angle of the V-Cross but the metallic construction adds to the rugged feel of the vehicle as well. However, ensure that while you switch over to these metallic bumpers that you carry over the original unit’s sensors for the airbags, otherwise you’ll render those life-saving devices completely useless. 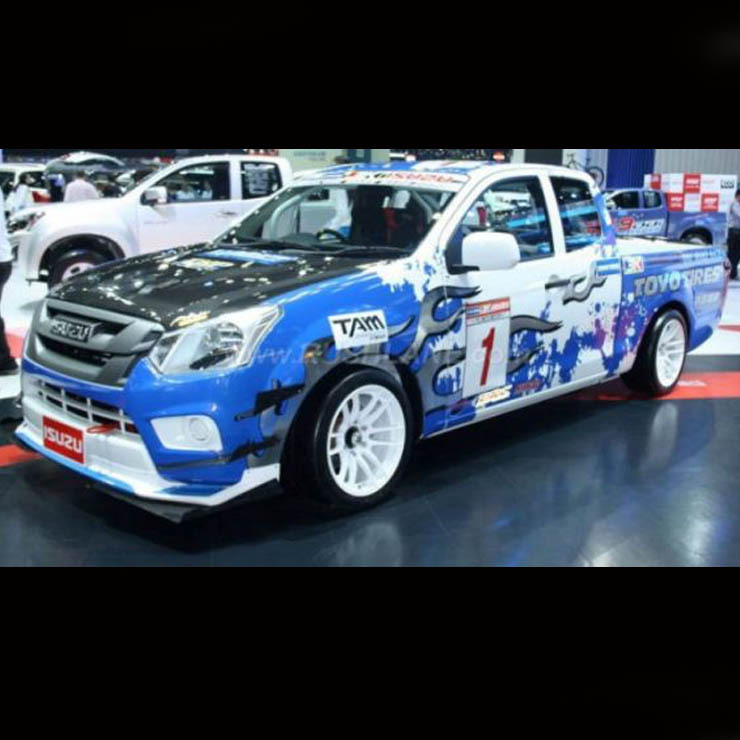 Another way to make your V-Cross stand out on the streets and off-roading trails is to either repaint it or give it a custom wrap. A custom wrap is a better option as it not only allows you to retain the original paint job but also protects it while giving you the look you desire. Also if you wish to switch back to the original paint scheme at any time, all you have to do is peel off the wrap. Just ensure that the wrapping is done properly and covers all areas properly. 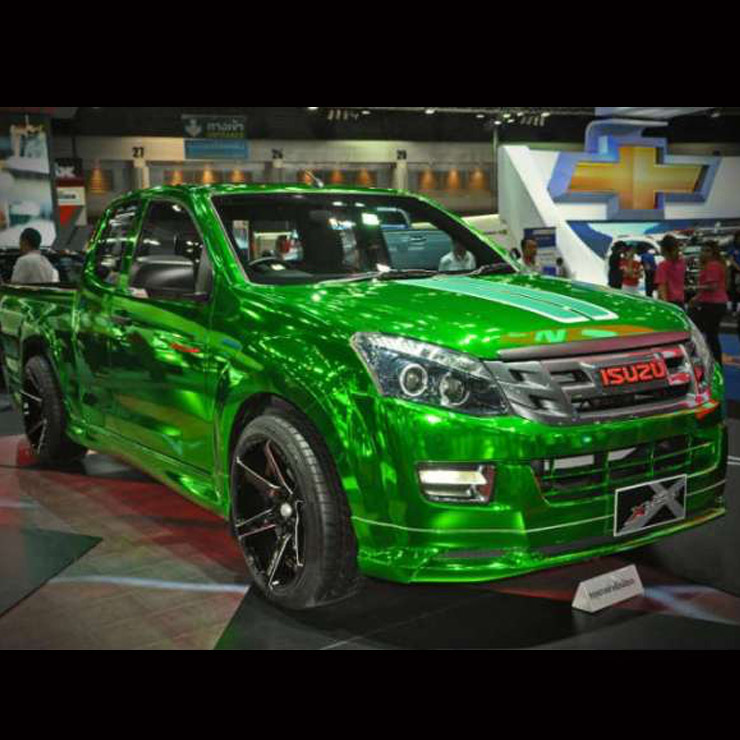 One more way to make the V-Cross look more sporty is by installing a body kit on the pickup truck. 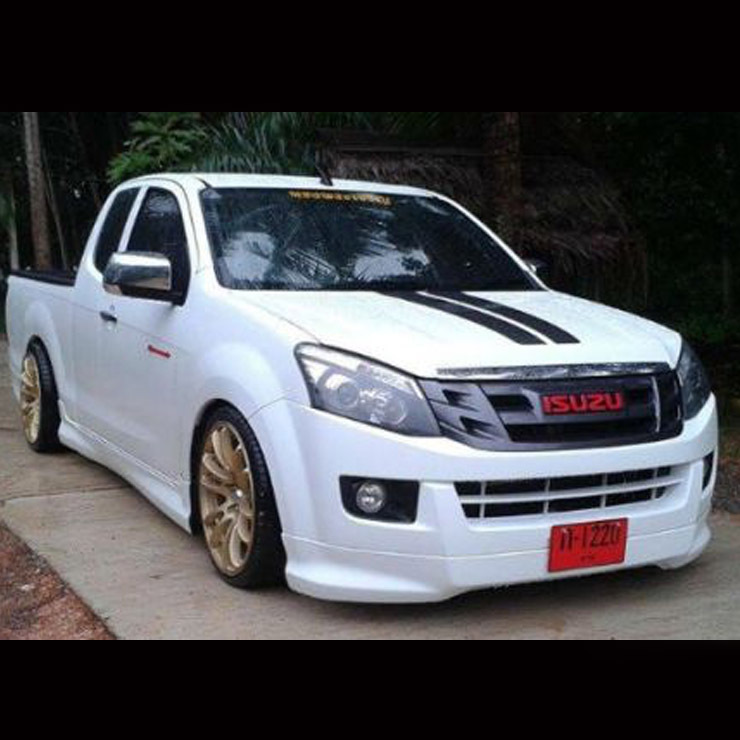 There are many body kits available for the pickup truck including a widebody kit that can make your pickup truck look real mean when it drives down the road by giving it a more planted stance. We aren’t sure just how many V-Cross owners use the big bed at the back to haul large goods. However, installing a cover over the loading area can make it more usable to carry smaller items around. 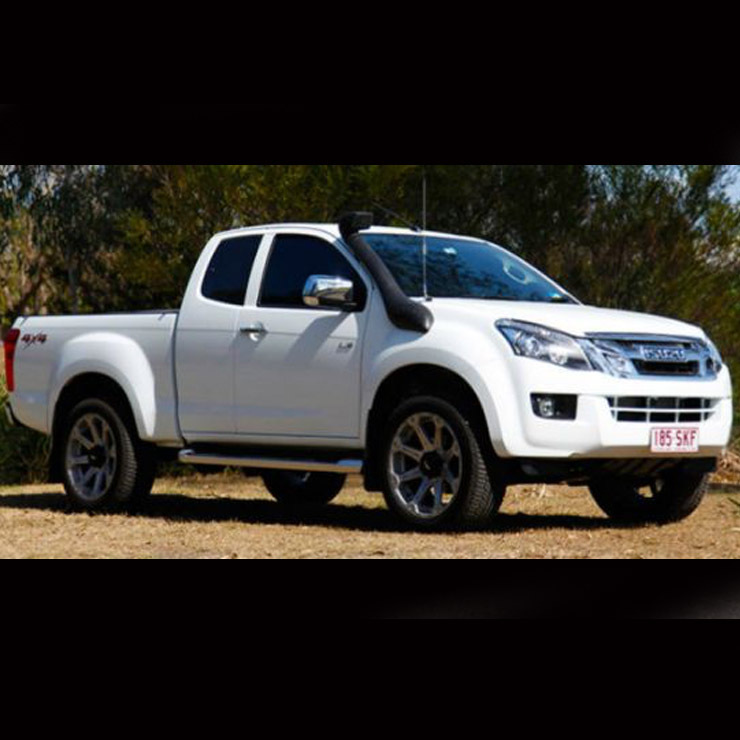 There are many cover options available for the V-Cross’ bed including a hardtop unit that gives the Isuzu a more sophisticated look. Installing a snorkel on the V-Cross should make the pickup truck more ready for off-roading challenges involving water. It allows the engine on the V-Cross to breathe in air while fording water obstacles and improves the fording depth of the V-Cross as well. So if you want to cross a small stream while off-roading in your V-Cross, getting a snorkel installed is a really good idea. Another way to both improve the looks of your V-Cross and off-roading capabilities in darker environments is by installing extra lights on the vehicle. Extra lights are useful while off-roading in the dark and on a really dark stretch of the road. However, only use them on the road in case of an emergency as some of these lights they can blind other motorists. You can also be fined for using these on public roads.